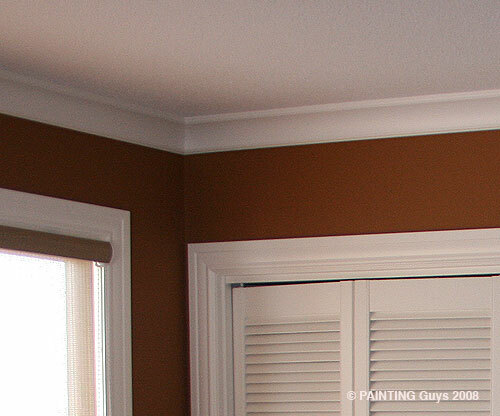 Crown moulding look excellent when you prepare, caulk and clean all the seams between the ceilings, walls and corners. Using high quality caulking is also very important so the paint flows smooth and the seams don't open up and turn yellow later in the year. NOTE: Gluing the joints is also important. They will expand and contract at different times of the seasons. If the carpenter doesn't glue them, they could open up during the winter months when the humility is dryer.